Daniel Harvey has put together a site dedicated to competitive TF2 scripts. 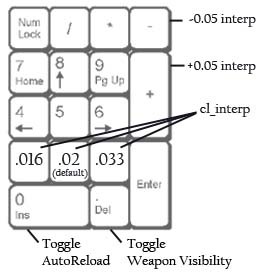 The image below shows off some of the design of this script by describing how to use the keypad to change your cl_interp setting while in game. All capable weapons will automatically reload. You can toggle autoreload on and off with keypad 0. You can switch between alternate weapons (such as the kritzkrieg or backburner) with f1, f2, and f3 for primary, secondary and melee, respectively. This video has been all over the net for about a week. If you haven’t yet viewed this tutorial however, it provides some great tips and techniques for being a more effective spy. While some of these are purely skills, some of the situational attacks may not translate as well to matches. Hopefully this will elevate my personal spy ability from horrible to terrible. Enjoy the video and thanks for creating it OMFGNinja. 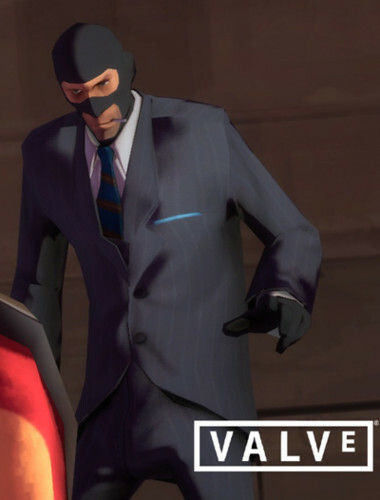 Team Fortress 2: Advanced Ninja Spy Tutorial. from OMFGNinja on Vimeo. Hein found a cool video that shows you how to take advantage of some of the advanced features of Team Fortress 2 demo playback. I didn’t even realize that many of these features even existed before this little tutorial. The new iPhone 3G is loaded with tons of new features. Ranging from global positioning and directions applications to full web browsing at 3G speeds. This tour covers many great bonuses of upgrading to a new iPhone. Happy upgrading! Found this floating around on youtube this morning. I like the high class music, makes me feel like I could actually conquer a battlefield in a suit and look good doing it. Found this over on Youtube this morning. I have copied the authors comments because yes, I am that lazy today. Wilson posted a link in our IRC channel this morning that shows how the more casual gamer can get all the new TF2 achievements without playing the game. Maybe you only play occasionally and wanted to be able to be on the same level as other players (to be fair) or you simply never play as Medic and just wanted to see the weapons for a few rounds of fun. Either way, we won’t judge you. This is a wonderful video showing the joy of healing and ubering a spy to wreak havoc on your own team. This guy also stole a page from Tendril and Lunk’s how to grief as engineer playbook. However, the idea of pushing engineers hadn’t occurred to me. Wonderful video, great work. Most people that have played this game for a while have figured out that you can use the engineer’s buildings to get to unexpected places. This guy shows a proof of concept on how to build a gun on top of B’s house on Gravel Pit. For this to really be effective you will need to be quick and agile to get a gun up to level 1 before the doors open. Good work on the video.